August 28th, 2009 | Author: Dave Q. 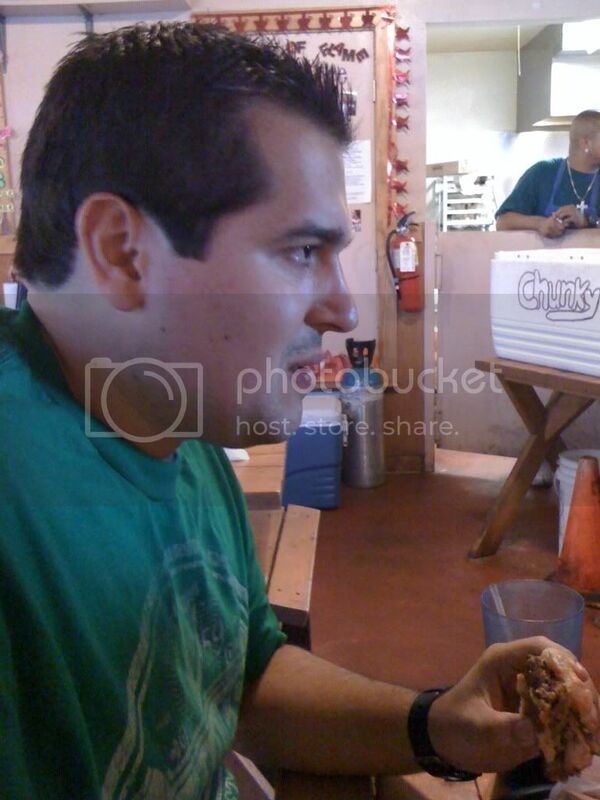 So last week a few of us were discussing lunch, when our friend Matt starts yapping about going to a burger joint named Chunky’s. The crazy guy from Man VS Food went there and took on the 4 Horsemen Challenge, which consists of eating a very spicy burger in 25 minutes or less and not drinking anything the whole time. Or something like that. So basically, Matt saw this episode and wanted to try the burger. So we went. 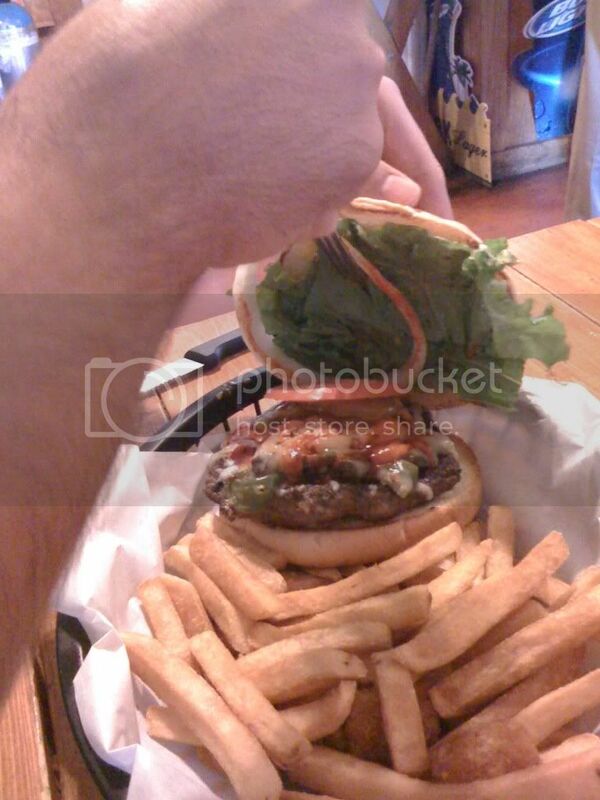 When the waitress brings the food to the table, Matt’s burger was making our eyes water. Seriously. We should have had hazmat suits. The waitress tells Matt that if he does the challenge and completes it, the burger is free. But Matt turned down that offer right away. Just so you know, it’s a $17 burger. WTF? Matt takes on the burger. Anyway, Matt begins eating the 4 Horsemen. And his quest consisted of about 3 bites. That was it. He couldn’t take it. In those 3 bites, he drank 4 Dr. Peppers and said crazy stuff like “my mouth is melting” and “it tastes like fire”. In his defense, he didn’t cry. But he did start scratching his ears like they were covered in ants or something. Picture Roberto Duran saying to the ref “No Mas”! 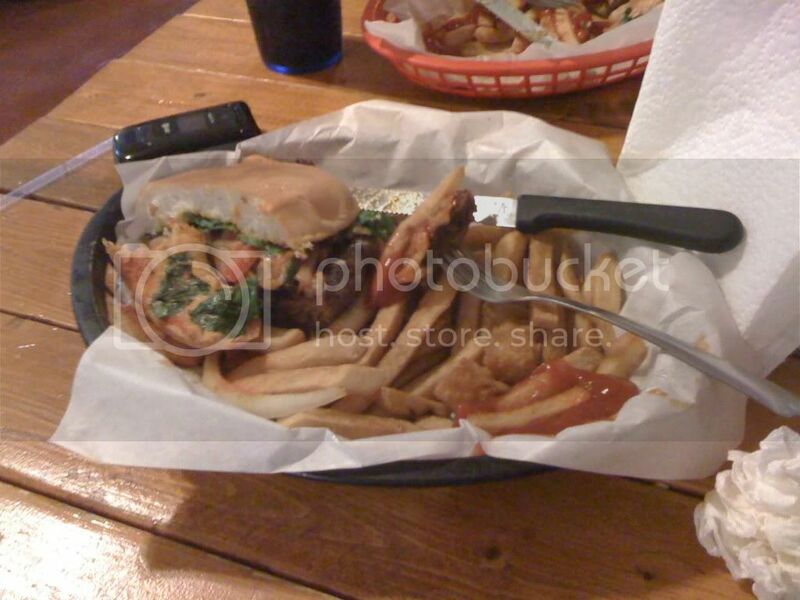 Who eats their burger with a fork and knife? Seriously. There is always someone in the group crazy enough to do something like this. Ladies and gentlemen, I present to you, Mr. Matt Lopez. Quite possibly the greatest invention of mankind. August 22nd, 2009 | Author: Dave Q. You know what was a great invention? The bikini. That was a great invention. Hard to imagine anything topping that. But someone did. With another bikini. Except that this one dissolves in water. That is just awesome. They kind of sell it as the ultimate revenge gift. When a girl dumps a guy, the guy gets back at her with this. But what girl is going to accept a gift from an ex-boyfriend? Nevermind. I just realized how ridiculous that question is. Anyway, the video evidence is below. I’m amazed no one thought of this a long time ago. It just makes sense. I wonder if they sell them in bulk. August 14th, 2009 | Author: Dave Q. Simply put, this is just a really cool piece of artwork. 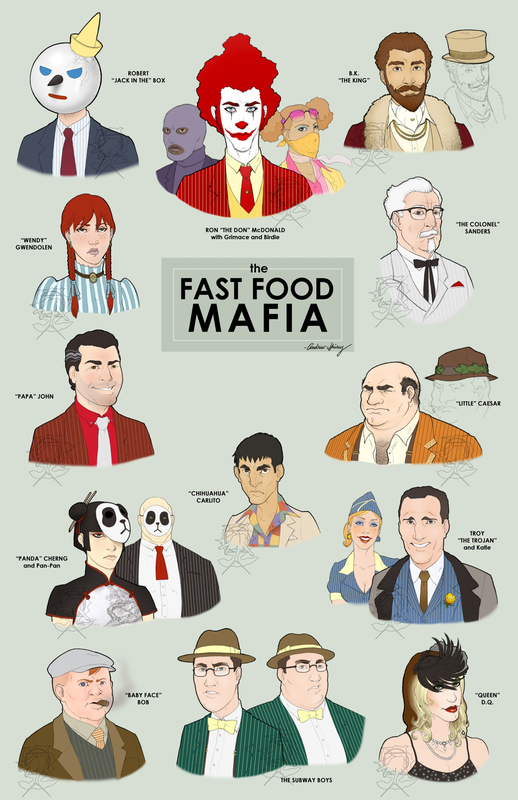 If the mob were made up of those fast food types, they may look like this. Can you ID them all? If you say yes, you’re a liar. I was able to figure out the obvious characters. But follow this link if you want a better explanation. Nice work, Andrew!